June 15, 2015; India: inLIGHTen Consultancy, which conducts training programs for project management services and increasing organizational effectiveness, will be hosting a workshop on Mind Maps in Gurgaon, India on Sunday, June 28, 2015. The workshop - “Enhancing Personal&Organizational Effectiveness - Using Mind Maps” is designed for managers, entrepreneurs, teachers,and is also in general suitable for anyone, who desires to enhance his or her creativity and efficiency. “Mind Maps for Effective Project Management”, Driven by his passion for Mind Mapping Maneesh quit his job a year ago with a mission to spread Mind Maps in all corners of the Indian subcontinent. So what is a Mind Map? A Mind Map is a simple but an extremely powerful graphic technique, which fundamentally helps people think better and thereby enhance their personal and organizational creativity skills. It not only helps people learn more effectively, enhance their creative problem solving skills but also is a powerful tool for managing an information overload. Given the flexibility of applications of Mind Maps, it is no surprise that millions of people across the globe have adopted Mind Mapping. Organizations around the world are increasingly leveraging this tool because it can be easily applied across organizational hierarchy and different functions such as planning, strategy, project management, negotiations and problem solving. Business professionals or anyone interested in Mind Mapsis invited to attend the Workshop. 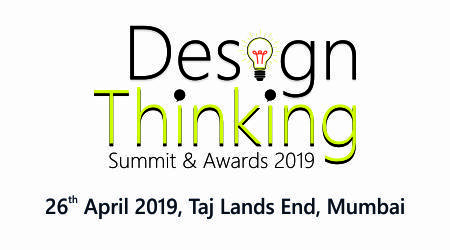 During the Workshop, Maneesh Dutt will discuss topics such as the laws of mind mapping, creativity crisis, and mind mapping for self-discovery among others. Some of the immediate benefits from the workshop include enhanced learning and teaching skills, enhanced listening skills and better decision making abilities (or power). Participants after attending the Workshop will acquire the creative cutting edge required in today’s extremely competitive environment. And all participants to the workshop will also receive a copy of his book “Mind Maps for Effective Project Management”. inLIGHTen Consultancy is a Firm specializing in training programs for increasing organizational effectiveness and project management services from inception to completion. The Founder of the Firm, Maneesh Dutt, has engaged over 10,000 man-hours of training sessions on a multitude of topics, including Mind Maps, Project Management, Quality, Health & Safety, Information Security and Innovation. He has 20 years of rich industry experience in senior positions and is the author of the book, "Mind Maps for Effective Project Management."